These little felt banners with embroidered lettering were given away for years by Duncan. I've heard reliable stories of them being given in the 30's to the 50's. Sometimes used as an award, other times just for participating. 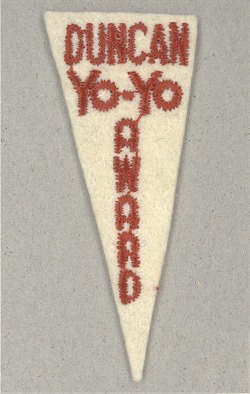 Simple colored embroidery on a felt banner shape.